Don Leon Apacible Ancestral House is one of the oldest house in heritage town. They have different Antiques and Ancestral furniture of Apacible Family. 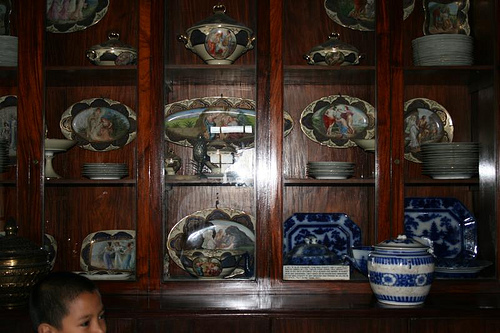 Below are some pictures shown inside and outside the Apacible Ancestral House. Don’t forget to take home Tapang Taal and Longganisang Taal while in Taal Batangas. The place was the was the original ancestral home of Don Leon Apacible and his wife, Doña Matilde Apacible. they have preserved the antique items used by the family including an 18th century old chandelier for visitors to see. The beds that was used by the family was also intact and serves as part of the exhibit of this ancestral house. Customers could also see old furniture and artifacts that cannot be seen in other old places like Vigan. may bayad po ba pag pumunta sa mga ancestral houses? Ang alam ko po ay donation lang.. I think you could visit them anytime during office Hour from 8:00Am to 4:00 except on Week end. Me idea po kayo kung saan ako makakakuha nan picture ni Don Leon Apacible?